Made for showering and bathing the entire body, product is ideal for locker/dressing rooms. It has a light fragrance and is Green Seal certified. 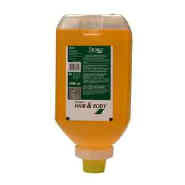 2000 mL refill. 6/Case.